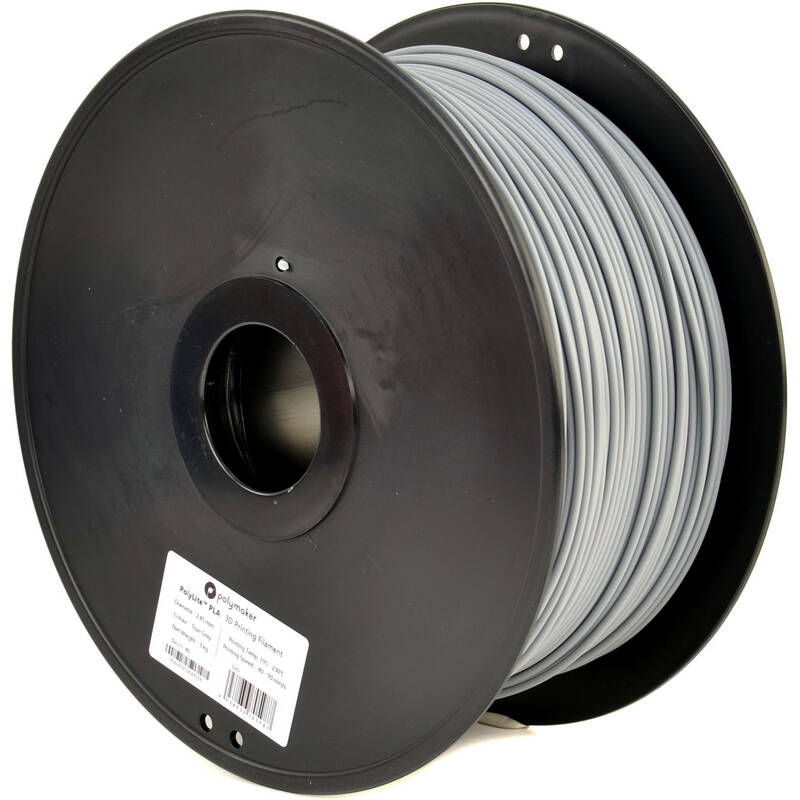 Print your 3D model in true gray with the Polymaker 2.85mm PolyLite PLA Filament from Polymaker. It is recommended that you use a LulzBot Hexagon hot end and PEI film print surface, with a print surface temperature of 140°F/60°C. PLA, or polylactic acid, is a thermoplastic usually made from corn starch, sugarcane, or other biodegradable materials. In addition to being environmentally friendly, PLA also prints at low temperatures, which helps to reduce the possibility of warping. Box Dimensions (LxWxH) 12.0 x 11.5 x 5.5"